At the TLC Providence Laser Eye Surgery Center, our team of professional and caring staff is here to make sure that you succeed in your LASIK journey. 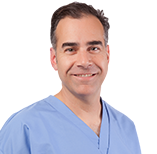 TLC Providence LASIK surgeon Dr. Ezra L. Galler is a board-certified ophthalmologist who has practiced in Rhode Island since 1995. He received his medical degree from Boston University School of Medicine and has lectured internationally on laser vision correction. We are excited to share our knowledge and experience that comes from thousands of satisfied patients. Our patient success stories say it all. Visit our Providence LASIK Center for a free consultation, including an in-depth eye exam, and to discuss all your questions. We will go over all the LASIK options available for you and get you started on your way to better vision. Schedule a Free LASIK Consultation in Providence today! Dr. Colonna is a senior partner at Westminster Eyecare. He received his O.D. from the State University of New York College of Optometry & B.A. in Biology from Lafayette College. He has extensive experience in pediatric eye examinations, primary care, contact lens, geriatric care, and ocular disease. Dr. Lawrence T. Ginsberg has been serving patients in the East Providence area since 1985. We offer a wide range of optometric services to meet your needs including eye exams, vision correction, contact lenses, screening for laser surgery, eye therapy and treatment. 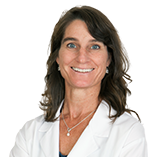 Dr. Oldham joined Vision Associates in 2004. He graduated from the Univ. of Maine with a BS in biochemistry & received his doctorate of Optometry degree from N.E.C.O. Dr. Oldham is available for your annual eye exams, emergency visits, glasses & contacts, & laser surgery pre/post operative care. Dr. Ainley received his BS from the URI in 1996 and his Doctor of Optometry from the New England College of Optometry in 2000. After graduation, he joined the United States Navy and served in the Medical Service Corps. He joined Ocean State Eye Care in 2005, and specializes in family eye care. Dr. Montaquila is a graduate of the New England College of Optometry. He joined the practice after an internship at the Rhode Island Eye Institute, and is now a partner. He is active in clinical research in the areas of Dry Eye, contact lenses, & lens care solutions. Affiliated with TLC since 2000. Dr. Kenyon is skilled at diagnosing all eye conditions including near-sightedness, far-sightedness, astigmatism, cataracts, glaucoma, and macular degeneration. Dr. John E. Ormando is a senior partner at Westminster Eyecare Associates. He received his B.A. in Biology at Seton Hall University, and completed his Doctor of Optometry degree at the State University of New York College of Optometry. Dr. Ormando is a long time member of the AOA and RIOA. DeCesare Eye Associates is a primary eyecare practice owned and operated by Optometrists. Our goal is to furnish you with the best possible vision care experience. We provide a professional environment, a friendly team, and a great selection of designer and traditional frames and contact lenses.